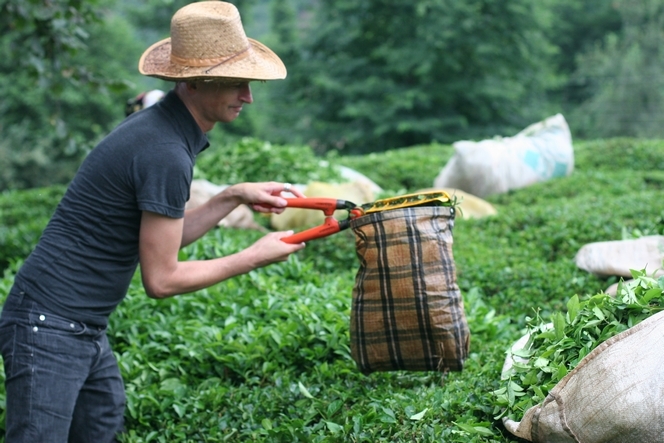 In most regions of the world, tea leaves are transported by tractor after being harvested. In Turkey, you see men carrying absolutely enormous bags. 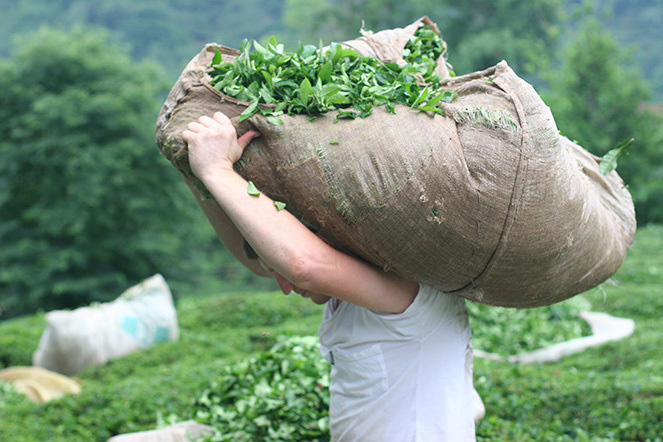 They tumble them down the slopes, over the tea plants, until they reach the road. In case you had of Turkey an image of a very hot country, I’d like to tone it down a bit. 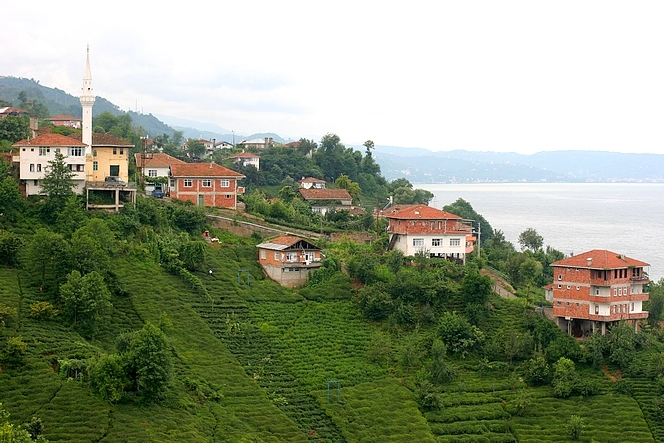 If tea enjoys being on these mountains lining the Black Sea, it’s exactly because here when you climb up a little, it’s much cooler and there are plenty of clouds and rain. “It rains all the time in Rize and if it doesn’t rain it snows !” have I often heard. 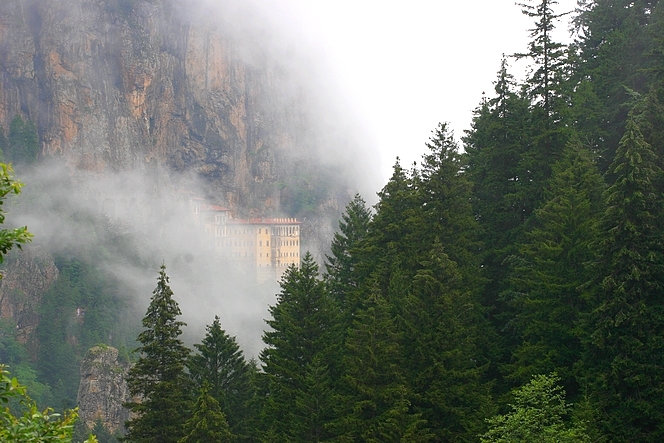 The Sumela monastery –whose picture can only be taken by patient people- is precisely located in the area where tea is grown. You can notice that nature looks close to the one found in the Alps. And these threads of fog remind me of the Himalayan foothills. 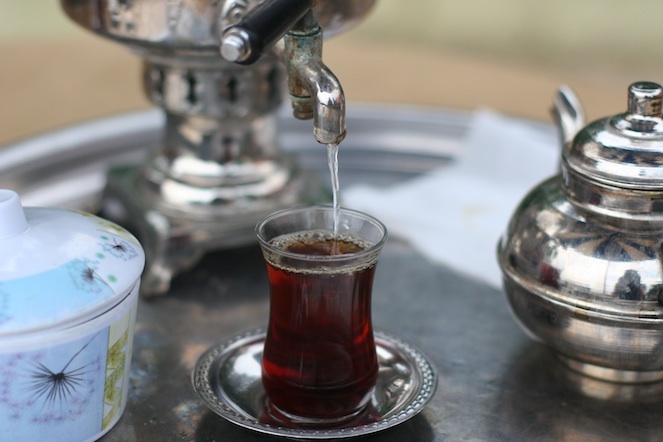 So now you surely understand why tea enjoys it here !